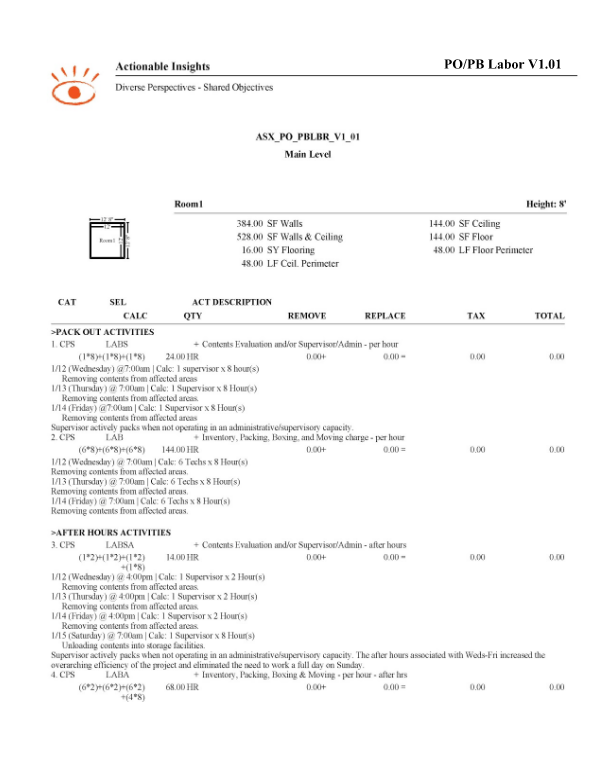 This is a single story (Class 3 | Cat 1) residential water loss. The policyholder was not in town at the time the hot water heater supply line failed. The water heater was located in the interior of the home and it proceeded to spew into the property for days. The water was ultimately shut off by the police department after a call from some observant neighbors that noticed water pouring out and over the front door threshold. As one might expect, the contents throughout the home were heavily affected and they required the most immediate attention. As such, a credentialed packout specialist was engaged to spearhead the packout and contents restoration activities. 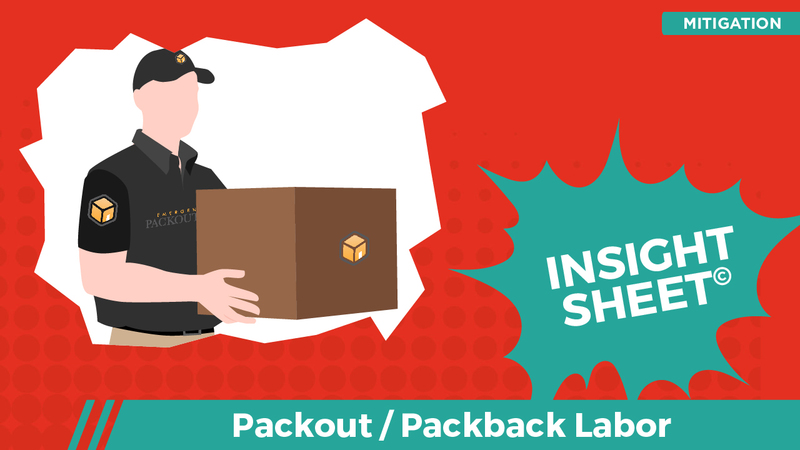 This Insight Sheet exists to clarify how one might invoice for packout and packback labor. This does not seek to include or make concessions for all equipment and/or activities as it relates to a loss of this nature.